UPDATE: The Toronto Blue Jays have designated Edwin Encarnacion for assignment. I'm not certain why this happened after he seemed to take the demotion in the right spirit. This could be something that his agent instigated but that is purely guesswork. I imagine we'll hear more on this in the next few days. Toronto, ON (Sports Network) - The Toronto Blue Jays have designated third baseman Edwin Encarnacion for assignment. Encarnacion, 27, was batting .200 with nine home runs and 22 RBI in 37 games this season. He was sidelined from April 15 through May 17 because of a sore right shoulder and missed 30 games during that stretch. Toronto acquired Encarnacion from Cincinnati in a four-player deal at the trade deadline last year. He has a career .257 average with 88 home runs and 308 RBI. The Toronto Blue Jays sent Edwin Encarnacion to the minors on Sunday. After several years in the majors it must be a major blow to his ego. However disappointed Encarnacion may be, this demotion may ultimately be the best thing for him. 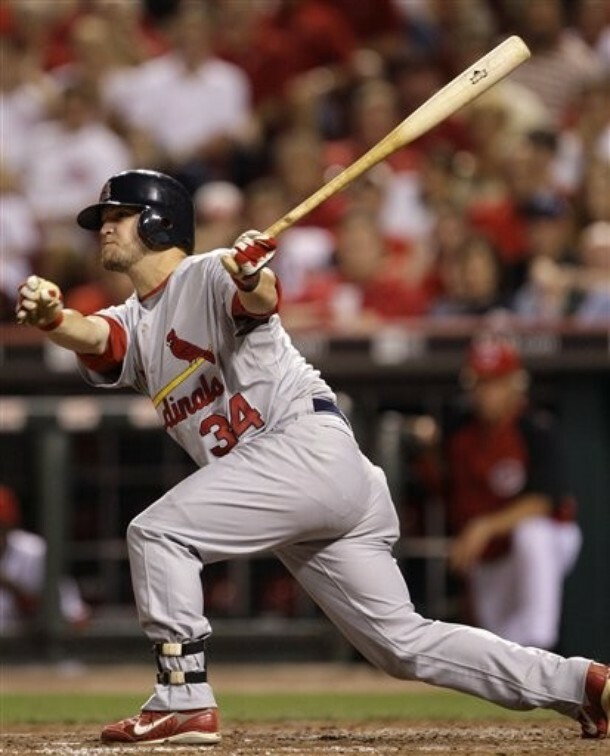 He is still young and still holds the potential to become an excellent power-hitting third baseman. To replace Encarnacion on the 25-man roster, the Blue Jays have recalled 27-year old Jarrett Hoffpauir. Hoffpauir grew up in the St. Louis Cardinals' system. He was fairly successful in a short stint with the major league last year. He hit .250/.438/.417 with one homer in 16 plate appearances. His career minor league line is .288/.366/.427 in 2,509 at-bats. Those are not superstar numbers but they show competence with the bat. Older players like Hoffpauir typically need to hit well immediately to extend their opportunities. In this case it is more likely to be bad defense than a weak bat that keeps Hoffpauir on the bench. However, in AL-only leagues I think Hoffpauir represents a good risk. He should get to play a few games right away. If he can play decent defense, manager Cito Gaston will have no reason to sit him in favor of the slumping Jose Bautista.